NTK Marine has the pleasure to announce you of the participation of yachts VanDutch in the most important annual event in Florida which will be held from 12 till 16 February 2015. The Miami International Boat Show is one of the largest boat shows in the world; in fact, it is so big that it spans up to three different locations! All three areas of the Miami Beach Convention Center, the Sea Isle Marina and the Miamarina at Bayside Marketplace will be filled with yachting enthusiasts from all over the world- the show features more than 3,000 boats and 2,000 exhibitors. VanDutch will definitely be participating in this year’s displays and pop-up events, only we will be at many more locations! VanDutch is excited to announce we will be joining forces with The Ritz Carlton Residences for some very exclusive cocktail receptions at their Miami Beach show room throughout the whole weekend. 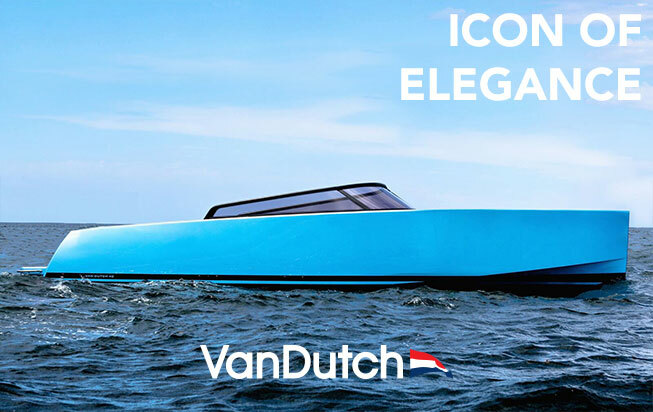 VanDutch Yacht will also dock up and get the party started at Miami’s hottest waterfront destination, Seaspice, to host different events and VanDutch displays- from the VanDutch 30 to the VanDutch 55 you can count on your favorite model to be there during the boat show weekend. NTK Marine cannot wait for you to be part of our famous Pop-Up Boat Shows throughout the Miami Beach area, they were hit for last year’s Fort Lauderdale International Boat Show- and in case you missed them, now is your change to join the action this year in Miami.